Maggie is working on the itinerary for a return visit to the beautiful Tuscany area of Italy. During this Beadventure, we will have a bead workshop with Italian designer Monica Vinci. Details will be posted as soon as they are finalized--or, if you don't want to miss out, send an email asking that we let you know when the details are ready! 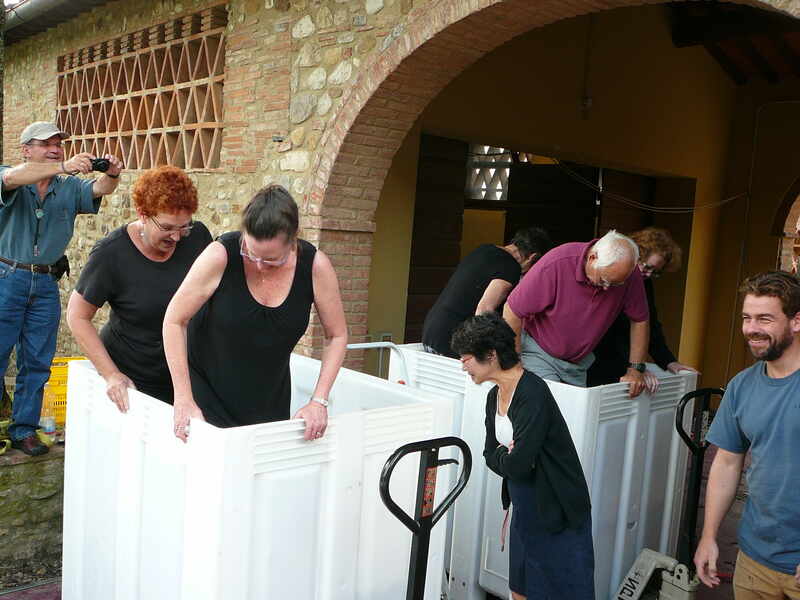 To get you into the spirit of what a Beadventure to Italy can be like, here's a photo of some of the fun we had on a past trip stomping grapes!